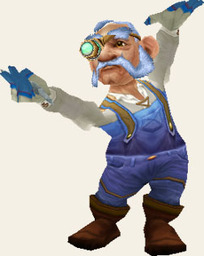 Male gnome expert 3; hps 6, AC 10. Nebron is a quiet young gnome recently arrived from the capitol city of Sasserine. Nebron seems to have boundless amounts of energy which he expends working endlessly on leather. Nebron lives in the middle-class section of Cauldron with his wife and nine children.